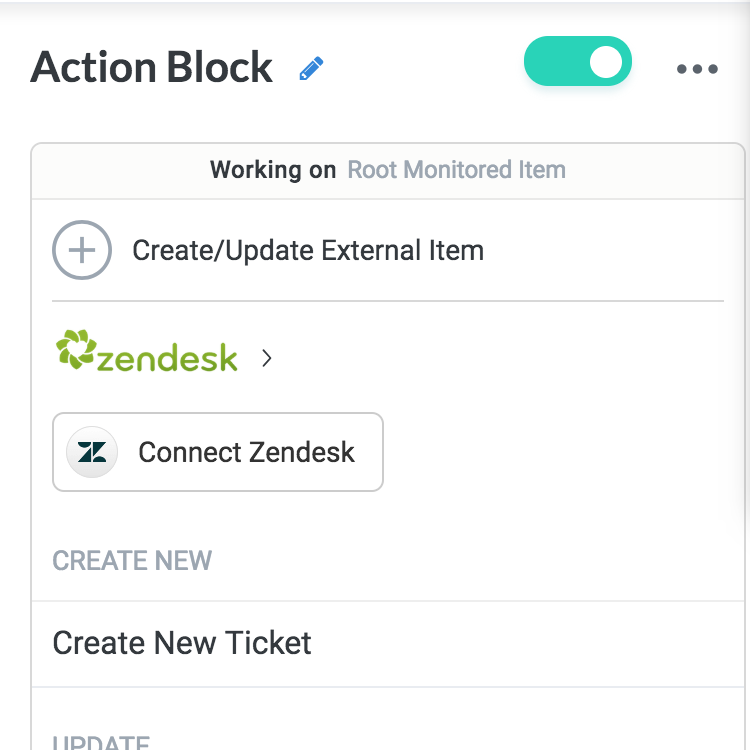 Data Actions are action blocks you can add to your workflow that the Bot will execute. 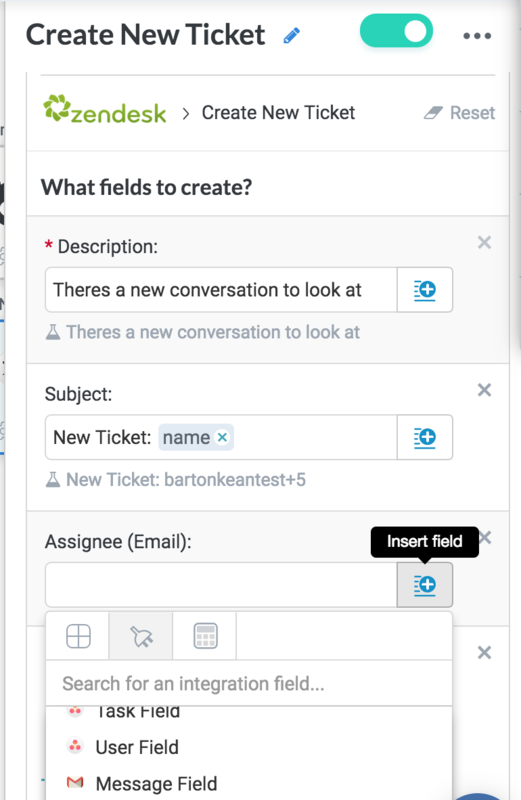 Specifically actions on external data sources, including creating, updating or any other. 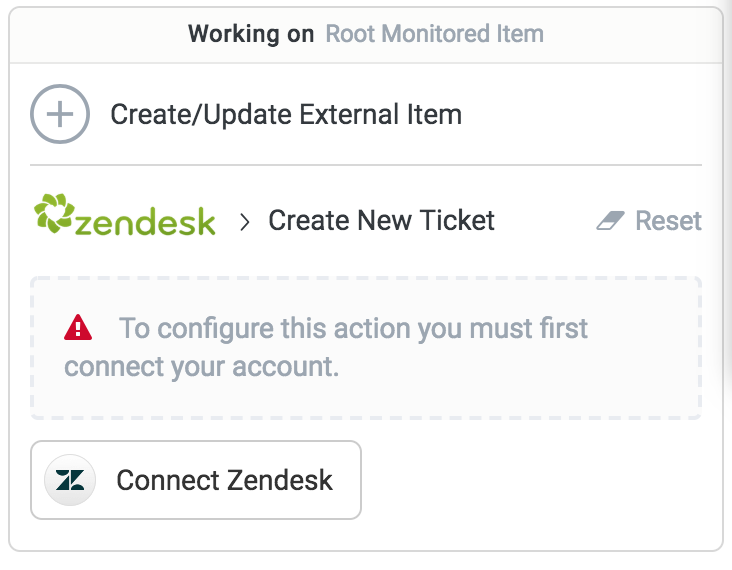 In this example we will see how to add a Data action to Zendesk, but this can be applied to any other data source you've connected. After adding an empty block in the editor, clicking on it would open a side pane on the right, here you can configure the action. The first thing you have to configure is what type of block this is. 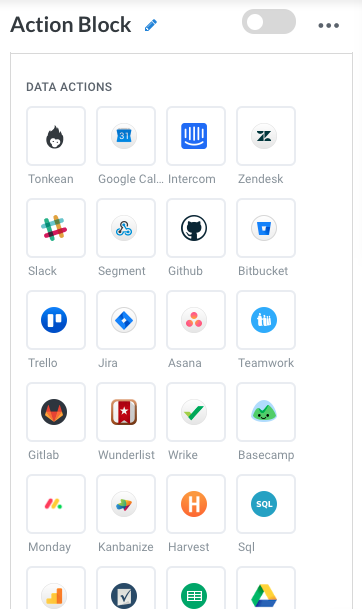 Once you selected the integration you want to work with, you will be asked to connect it into Tonkean (this only has to be done once, so if you've already connect this integration you won't have to do that again). 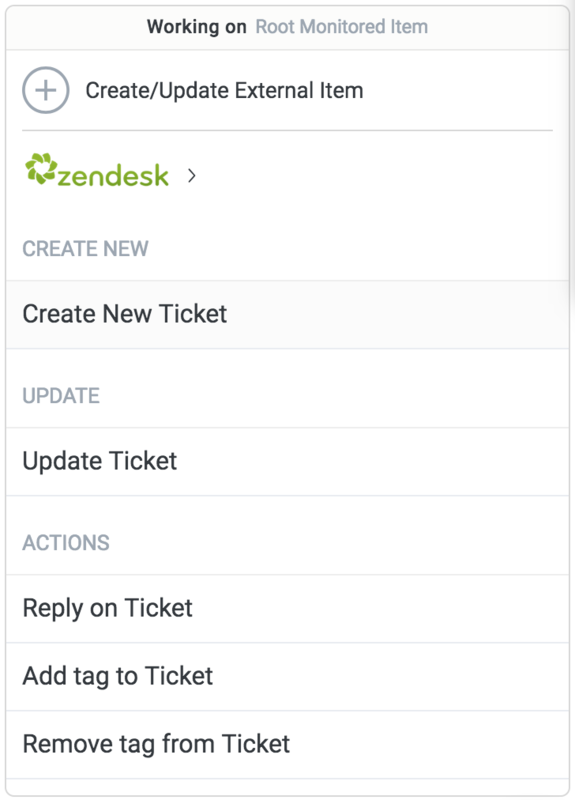 Here's an example of how to use data from other integrations to create a Ticket in Zendesk. 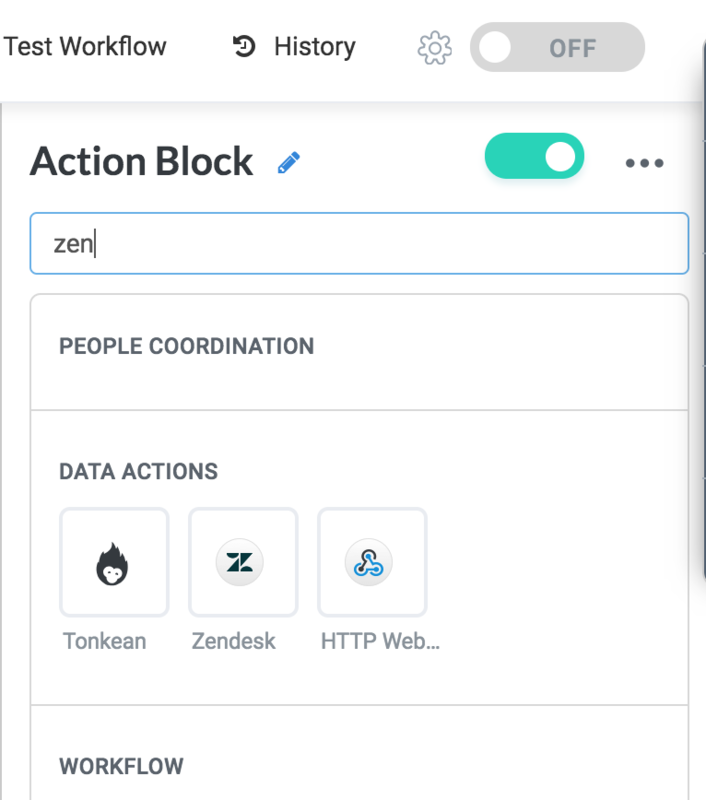 If you don't see the data source or the action you need, you can always use the Custom HTTP action - learn more here.